Elections Commission has warned everyone who attempted elections-related fraud will be prosecuted. 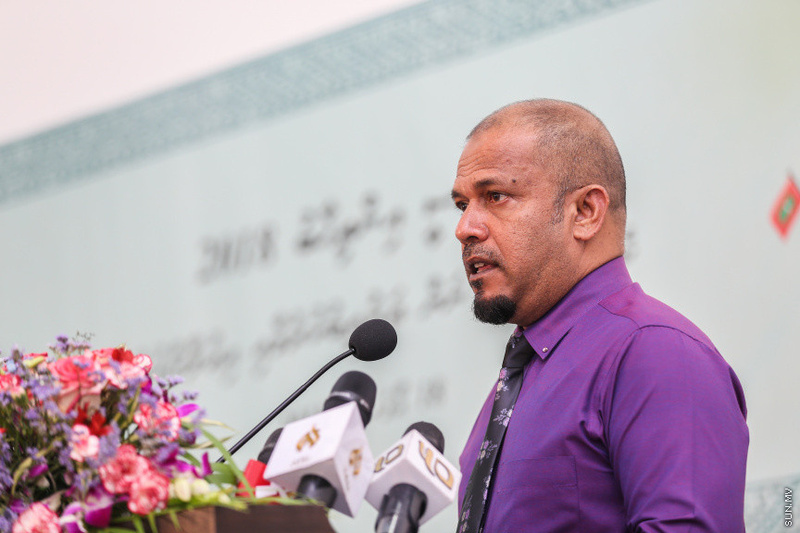 Speaking at the draw this Saturday morning to assign candidate numbers for the upcoming Presidential Elections, President of EC, Ahmed Shareef stated that the commission guarantees it will not commit fraud or mislead the public in anyway in any elections-related matter. Shareef said several individuals attempted fraud my using invalid fingerprints on elections reregistration forms. He said the EC knows the identities of the individuals who attempted fraud, and warned they will be prosecuted. “I say this for the attention of citizens of Maldives; we will prosecute everyone who attempted elections fraud. We will press criminal charges. Any they will be given due punishment,” said Shareef. Shareef said the EC has gone through all the reregistration forms and identified the individuals who attempted fraud. “The Elections Commission, in no uncertain terms, has tried to commit fraud during reregistration,” said Shareef. He said the EC has not reregistered anyone except for the people who submitted forms for reregistration. “Any fraud was committed by individuals who submitted the forms. The political parties. Or the people who handed over the forms. Don’t pin this on us, don’t say this is the responsibility of the Elections Commission,” said Shareef. He said information on the voters who reregistered for the elections will be released this coming week. Shareef also directed his comments at the press. He appealed to the press not to carry statements by politicians regarding the EC without a word from the commission. “I take this opportunity to note that we previously have overlooked such headlines. But with the official announcement of the elections, we will investigate such headlines and inaccurate articles via relevant bodies,” said Shareef. He said that it was the responsibility of the press to obtain comment from the EC and present the public with accurate information. "Candidates must submit financial declaration by May 5"